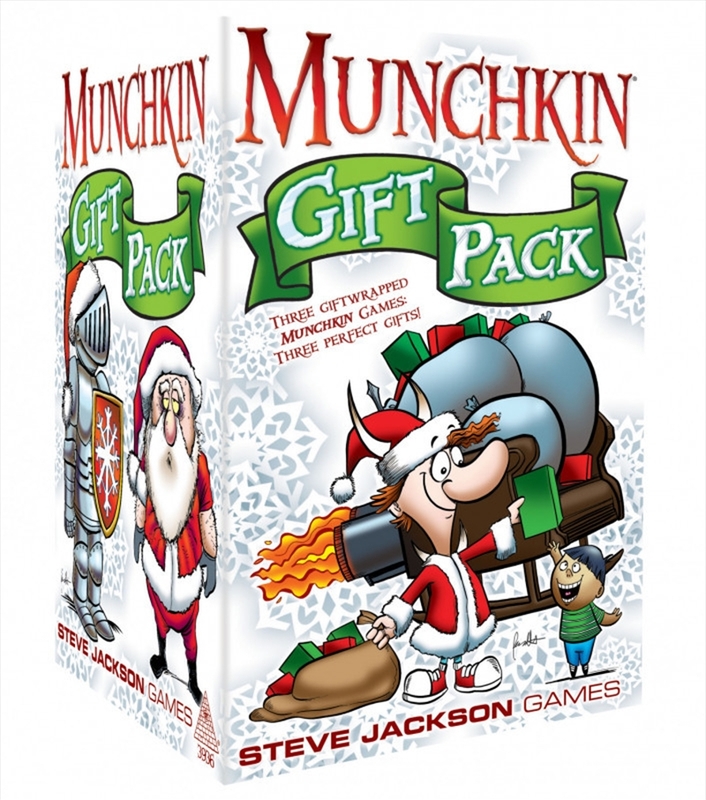 Munchkin Gift Pack includes three hard-to-find Munchkin games (Munchkin Lite, Munchkin Grimm Tidings, and Munchkin Spell Skool), already gift-wrapped for your customers? convenience! They can just stick one of the enclosed gift tags on a game and give it to their favorite Munchkin fan! Also includes five new Munchkin cards, illustrated by Len Peralta, and a holiday greeting card!